Suitable for all offices and those events requiring stylish seating, our black operator’s chair with arms has a range of fantastic features. With deep cushioning for comfort, a classic design and adaptable height and seat back, this product is stylish and can be tailored to the needs of anyone using it. Office chair design has changed a lot in recent years, and to keep workers comfortable at their desks lots of different features have been introduced, such as those that adapt the height and angle of seats. Even thousands of years ago, seating was designed to both look good but be very useful too. During China’s Han Dynasty, which dates from 206 BC to 220 AD, a type of folding chair was introduced that was invented to be used in military settings, both indoor and outdoor. This feature probably allowed users quick access to seating in all weathers, and in the following centuries seating design has developed to respond to the time and the environment it’s destined for. What may have held inventors back, is the types of materials they had available for chairs. Timber was common and popular in the distant past, following the 17th Century newer and more deluxe substances started to be increasingly used, including leather, velvet and silk. Although it was important that chairs worked well, designers also paid attention to fashions, and as more people could afford seating the appearance of the chairs became a real selling point. The 20th Century and beyond saw many newer materials becoming available and inventors were keen to create products for every location. The 1970s proved a really experimental year for chair design, and in this decade a very important office chair hit the market. Called the Supporto, British inventor Fred Scott created this chair in 1979. The reason that this is such a great item, is that he wanted to make a new line of adjustable office chairs and provide a fierce rival product to those being produced in the US. Taking a look at this seat, you can see some basic similarities between it and our black operator’s chair with arms. Both are upholstered, have arms and adaptable seats too. So, it’s clear to see that these kinds of seats are not just a product of very recent times, and as scientists begin to learn more about our bodies, then designers make products more suited to our office environments. 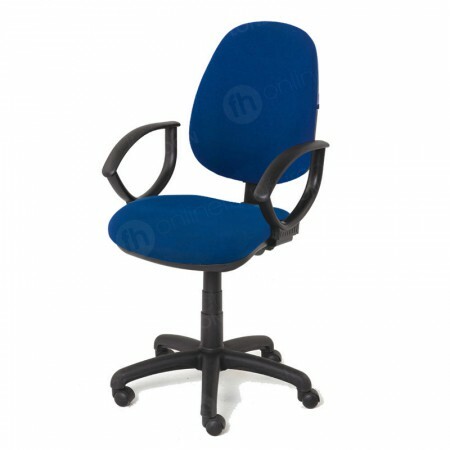 Our office chair can be altered in several different ways to suit those sitting on it. This ensures that anyone using this product line can get comfortable. Ergonomics says that keeping our bodies in balance prevents tension building up in our muscles, and sitting in a particular way ensures that we stay comfy. Tips include sitting with feet flat on the floor, with our thighs and forearms at right angles to our body. 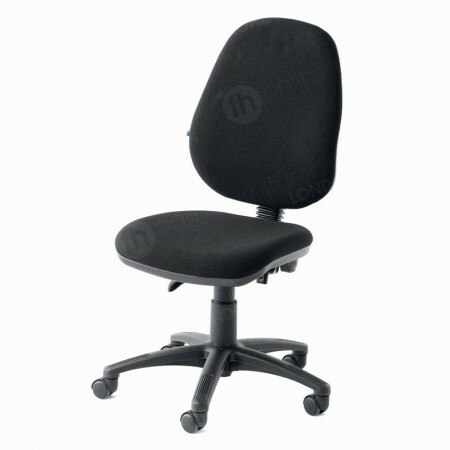 Because the height of the seat can be increased or lowered and tailored to every individual. Another way to adapt our operator’s chair, is to alter the angle of the seat back. This is a personal preference, with some people preferring to sit more upright or nearer to screens than another. Simply use the correct lever underneath the seat to adjust this element of our chair. 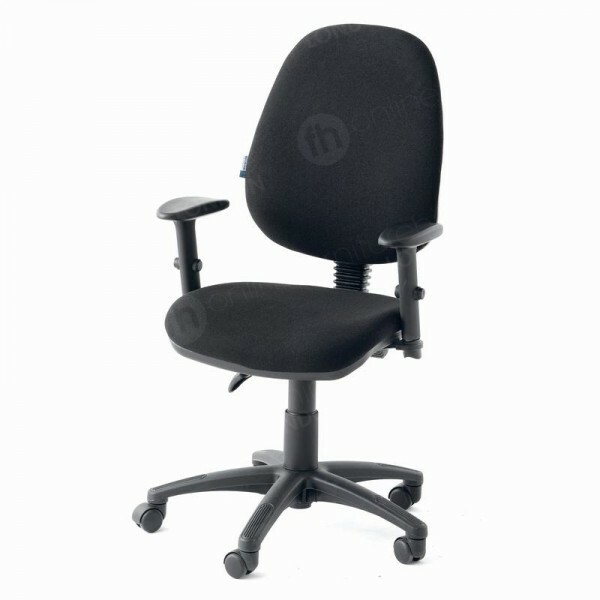 For even more ergonomic features, why not take a look at our luxury ergonomic chair, which is fully adjustable. Upholstery in seating has been included for hundreds and hundreds of years, showing how important comfort has always been - and our operator’s chairs won’t let you down! We’ve made sure that our range features premium grade materials, so when you sit on our seats you’ll feel very comfortable indeed. With lumbar support and the adjustable seat back, you get added comfort too. The appearance of seating is another factor that has also been crucial over the years. The instant that newer materials became available, like velvet, they’ve been snapped up by chair manufacturers and used in their designs. 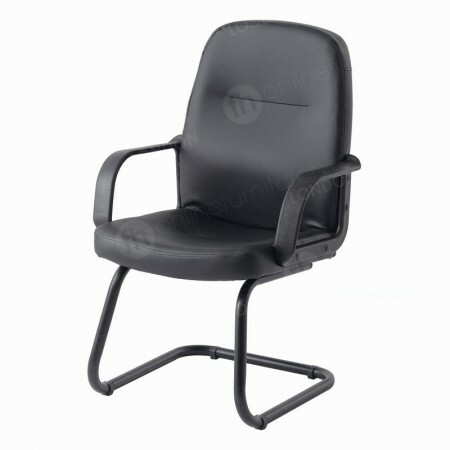 For offices, you can opt for our black operators chair, which is very smart and professional looking. We also have the same chair in blue if you prefer. The high grade materials contribute to a very professional looking product that wouldn’t look out of place in any executive or corporate location, from offices, receptions, boardrooms and more general areas too, such as educational institutions, hotels and conference venues. What’s the benefit to choosing your operator’s chair with arms? As well as ultimate comfort and adaptable features, you get a seat that feels really secure and helps keep your forearms at right angles to your body - which is important for ergonomics. Are these chairs easy to adjust for each user? Yes, it’s incredibly straightforward to adjust these chairs! Simply activate the levers under the seat to change it’s height and the angle of the seat back. Yes - you’re free to order these seats in black or blue, and we offer both varieties with and without arms. I’d like to hire chairs for my office for a long time - is this okay? Of course. 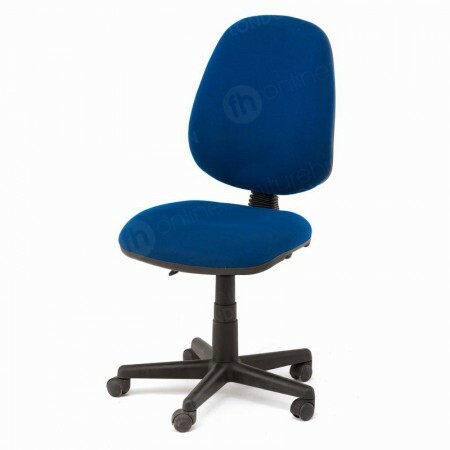 We offer very flexible hire terms so you get the hire chairs you need for the time you require them. In fact, when you opt for longer hire term then our offers get even more affordable. Can I order a variety of your operators chairs instead of just one type? Yes. Like with our flexible furniture rental periods, you’re also free to order any products from our range in any quantities! What are varieties of this chair are available? You can order this model, or opt for one with arms if you prefer. We also have a blue version that comes with or without arms too.